Because it is such an exotic place, making good photography in Kathmandu, Nepal is really quite simple. Wander around until you find a compelling scene and wait for the photograph to develop. Of course, making a good Kathmandu photo is a little harder than that, but patience will be rewarded. I had always wanted to go to Kathmandu. Not just because it is great for street photography (which it is). Not just because of its mysterious and mystical reputation (which it has). And not just because Kathmandu is recognized as one of the world’s most celebrated crossroads: a place where adventurous travelers gather to soak in the gritty atmosphere; dreadlocked, first world, college kids hide away from their future in cubicles back home; and intrepid mountaineers clad in (fake and real) North Face gear begin their quests to climb the world’s largest mountains. 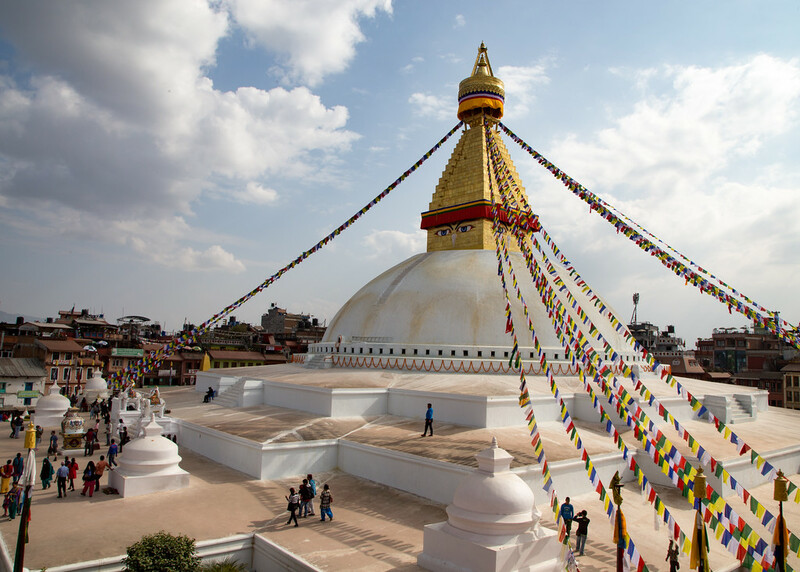 Yes, any of those things, and about a hundred others, are reason enough to get me itching to visit Kathmandu, but I wanted to go mostly because of that ear-worm of a song – you know the one – “Kathmandu,” by Bob Seeger and the Silver Bullet Band. Honestly, it isn’t one of my favorite songs but, once you hear it, it certainly sticks with you. I arrived in Kathmandu at the end of my sixteen day Highway to the Himalayas adventure as a guest of On the Go Tours. Our group of travelers, which had once been over twenty people, had attritted down to three. Because On the Go Tours offers an almost bespoke travel experience, most of the people we began in Delhi, India had returned home after touring either the Taj Mahal or later in Varanasi. In some ways I missed the larger group because I had made some good friends among them, but it was also enjoyable, and more flexible, being in smaller transport. Kathmandu is dirty, dusty, raw and stricken with some of the world’s most heartbreaking poverty. 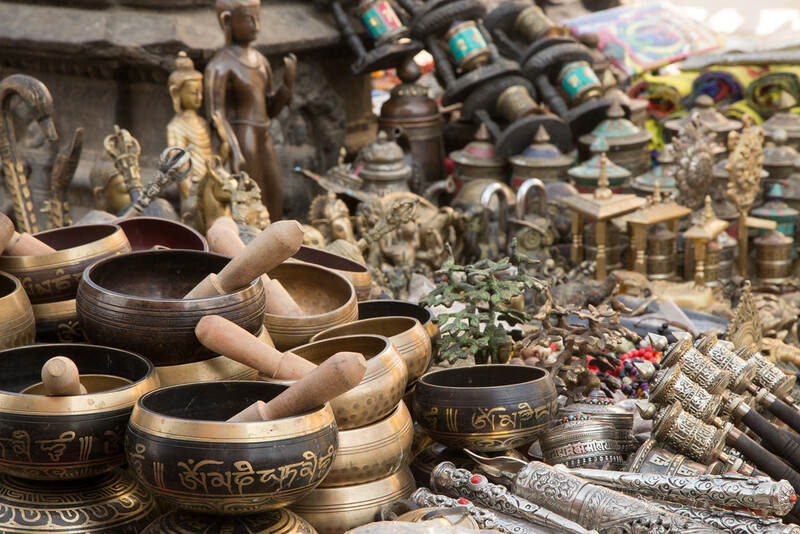 Kathmandu is also, in its own way, a beautiful and strangely compelling place. I can see why many people return again and again. 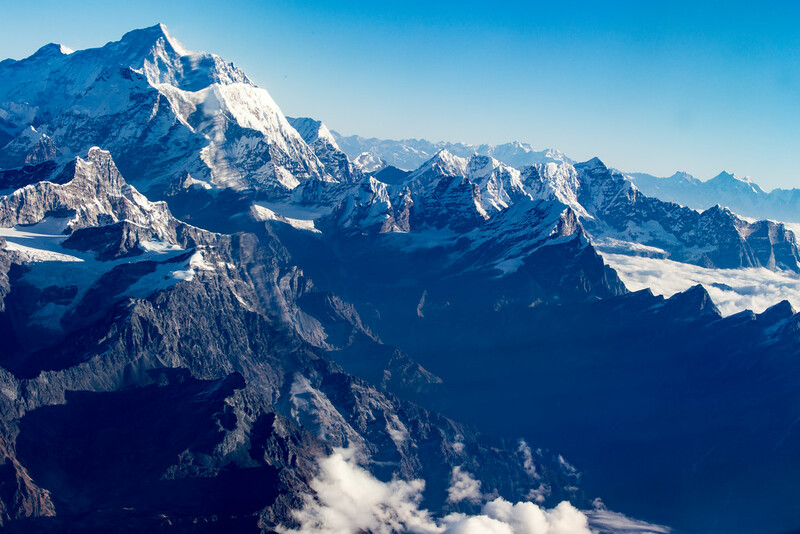 I too hope one day to revisit and hike the famous trails around Mount Everest that I could only glimpse when Yeti Airlines took me on one of the famous mountain flights. 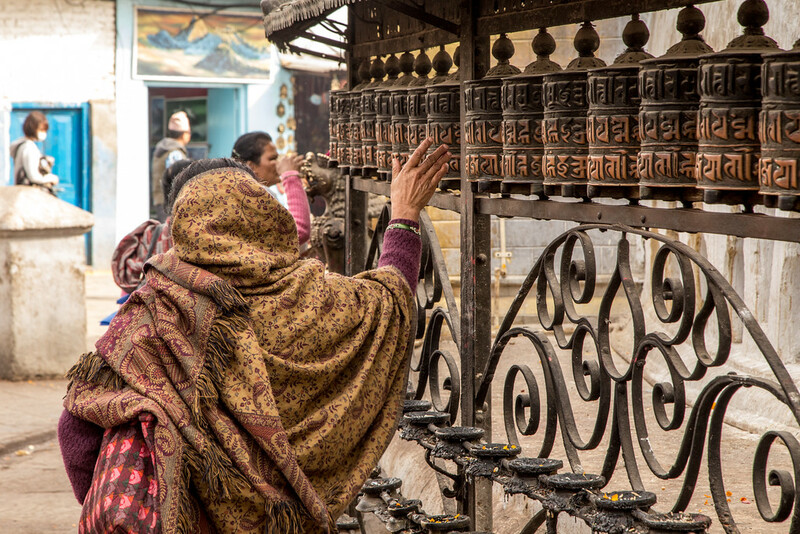 These are just a few of my favorite photos, and you can find many more in my images of Kathmandu photo gallery here. As you can tell the earthquake damage is still evident in places, but, although tragic, it hasn’t killed the spirit of the city. I even felt a small tremor during my stay. Earthquakes are a part of Nepalese life that they accept in stride in much the same way other people accept the weather. 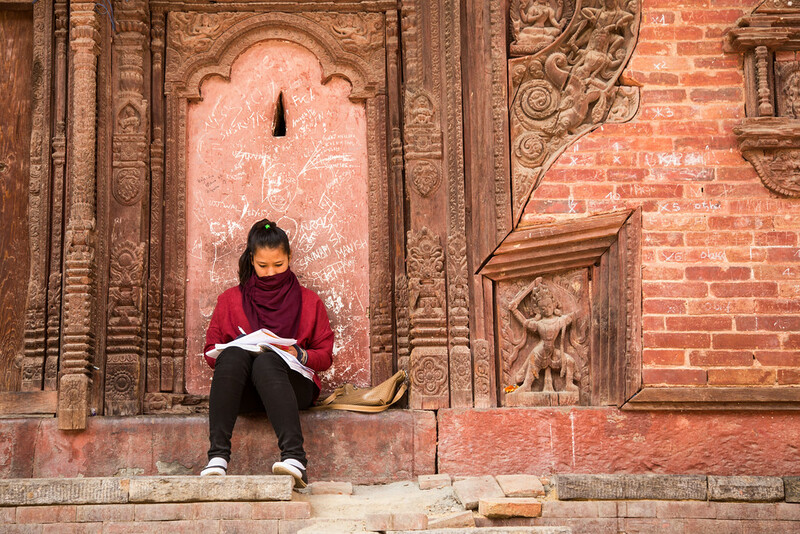 Earthquakes aside, making photography in Kathmandu is an experience unlike any other and I hope to return soon! Most of these images were made with my Canon 6D DSLR with the Canon EF 24-105 Lens.